जिस प्रकार हिंदी के अपने ब्लॉग के मैनें अपने खुद के डोमेन पर स्थापित कर लिया था इसी प्रकार अब मैंने अपने सरकारी नौकरी वाले ब्लॉग को भी उसके खुद के डोमेन http://www.SarkariNaukriBlog.com पर स्थापित कर दिया है। You should visit www.SarkariNaukriBlog.com daily to know all the latest Government (Sarkari Naukri) Job information. क्या बिना होस्टिंग लिये सीधे ही ब्लॉग को डोमेन पर स्थापित किया जा सकता है? I am a blogger myself and am considering to move my blogspot blog to a top level domain. However I am apprehensive about the loss of rankings. Could you please share your experiences in this regard with me (specially as far as the sarkari naukri blog is concerned). Is there any special tweak that you employed? My email is sanded02@gmail.com. Sorry I cannot type in hindi. I like your blog, i currently have a job search site and was thinking of having a blog on my job search site. अपने Domain पर ब्लॉगिंग के क्या फायदे है ...?? Can you give a small interview via chatting if possible?? 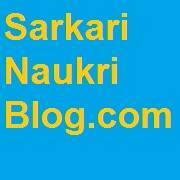 I want to let my blog readers know about your inspiring journey with the success you got from sarkari naukri blog. I tried a lot about your contact but can't get it anywhere.